Tropical gardens, with ornamental pots, lotus ponds, and water features. 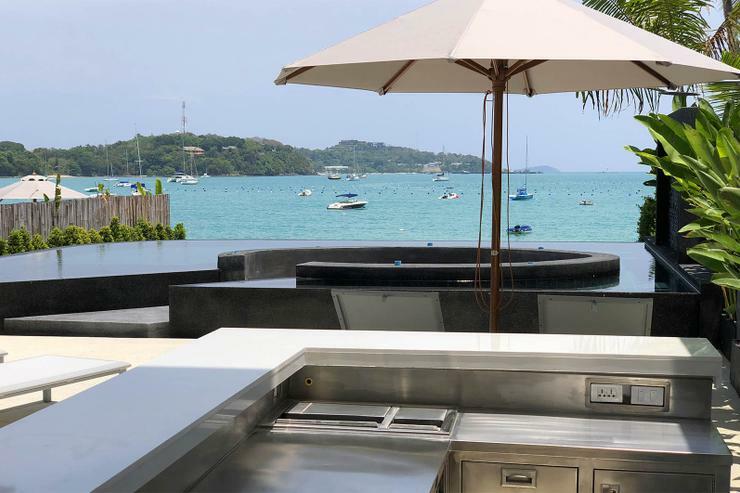 One of Phuket's most exclusive beach front villas, and is located directly on the island's most beautiful white sand beach. Ao Yon beach is picturesque and sheltered, and is therefore one of the select few beaches on Phuket that offer you 365 days a year swimming. Phuket's west coast beaches are all closed for most of the period from May thru Nov, plus closed on any days with strong tides. This is especially important for families with children. 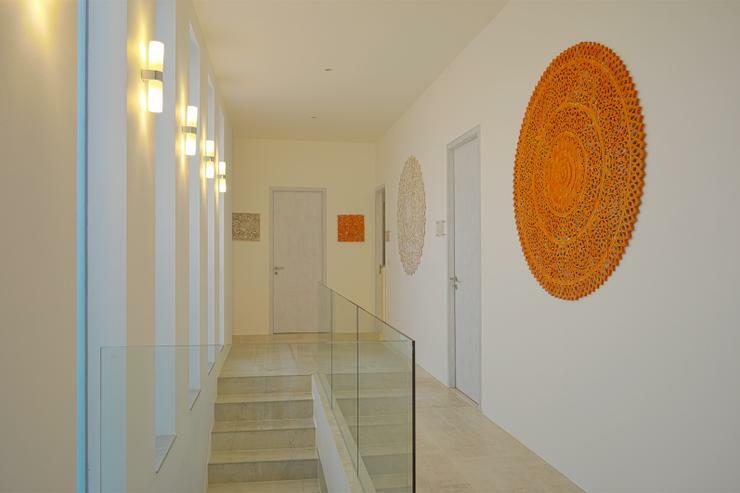 * Complimentary use of all of the amenities within the villa, such as pool, satellite TV & movies etc. * Housekeeping - additional housekeeping services can be arranged at ca $21 per hour, if more than 8 hours per day are required. Our staff can help you with all tasks such as: laundry and ironing clothes, making bedrooms, washing dishes and helping you to prepare food, and serving your guests. * Private Chef and Waiting Staff - A private chef is available to prepare daily fresh breakfasts, lunches and dinners. 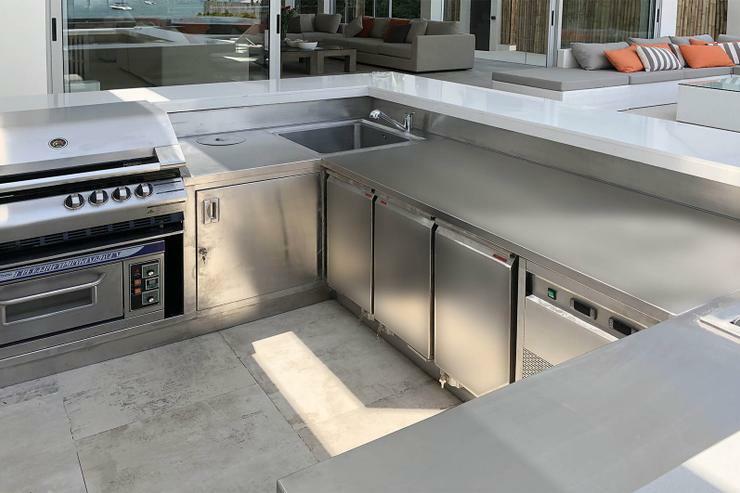 For grand affairs or larger groups you may require a second chef or support chef. Also if you would like to be waited upon you will require the services of a waiter or waitress. * Upon booking we charge 25% of your rental price. This payment guarantees your reservation. * The balance of the rental price, plus a fully refundable ca $1356 security/damages deposit is due two months before the rental start date. Bookings made less than two calendar months before the rental starts must be paid in full upon booking. You will be emailed a reminder for the remaining Balance and the date it is due to ensure payment is made in time. Payments are made by bank transfer into our bank account (details will be sent to you to make payment). Failure to make your payment on time could result in losing the booking. 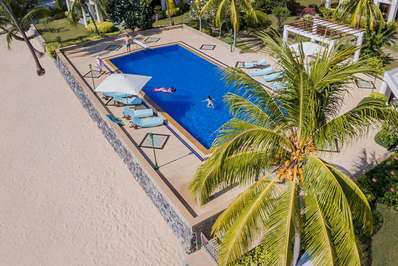 Baan Amandhara is located on Phuket's famous Cape Panwa peninsular, which is surrounded by beautiful islands and is the gateway to the islands of southern Phuket such as Phi Phi Island and Koh Racha. 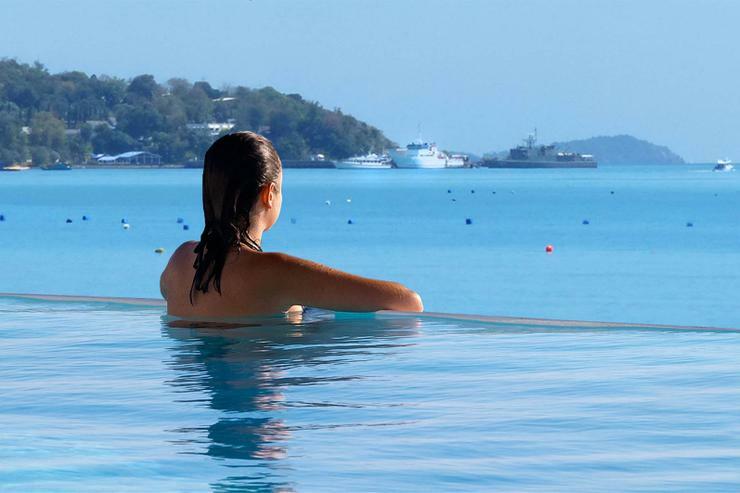 Cape Panwa, on Phuket's southern coast is where you'll find the luxury end of tourism and away from Phuket's lower-end mass-tourist offerings found on the west coast, making it perfect for both families and those seeking an exclusive, luxurious and relaxing beach holiday. 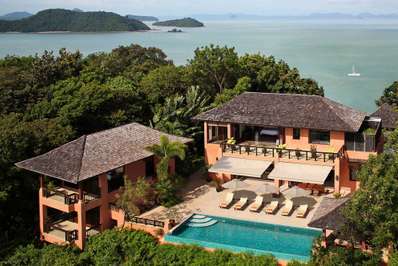 It is located next to our other two super-luxury beachfront villas, Baan Amandeha, and The Beach House. 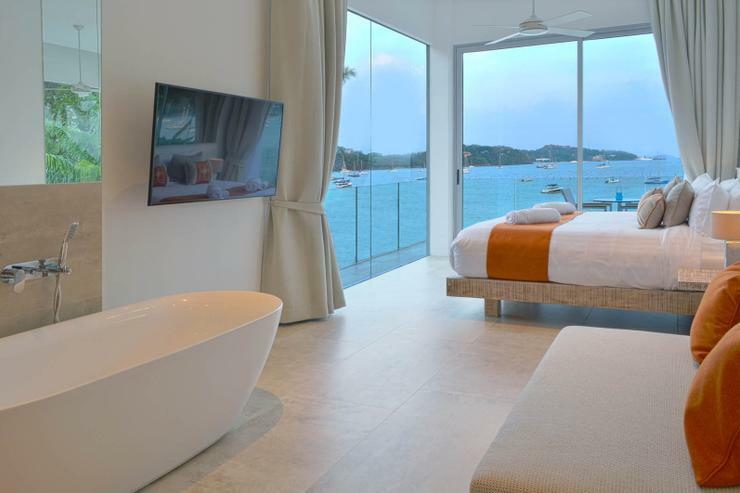 It is a brand new private luxury beach villa, located in the centre of Ao Yon Bay, Phuket's most beautiful white sand beach. Ao Yon beach is picturesque and sheltered, and is therefore one of the select few beaches on Phuket that offer you 365 days a year swimming. Phuket's west coast beaches are all closed for most of the period from May thru Nov, plus closed on any days with strong tides. This is especially important for families with children. 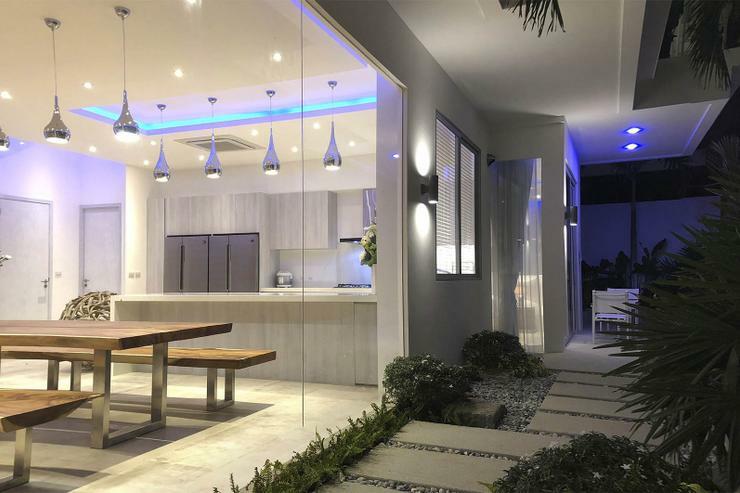 The villa has been designed by one of Thailand’s finest architects, Khun Navachon Suksawat. 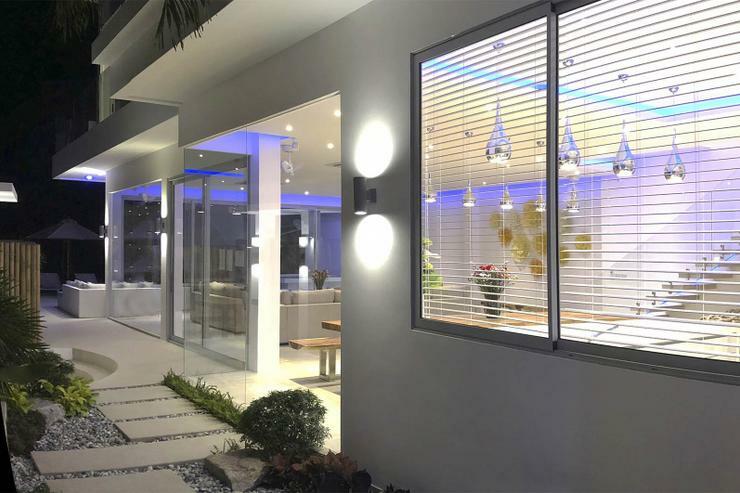 The brief we gave her was to create a luxury villa that is contemporary, spacious and light. It had to be visually stunning, but most importantly make the occupants feel special. 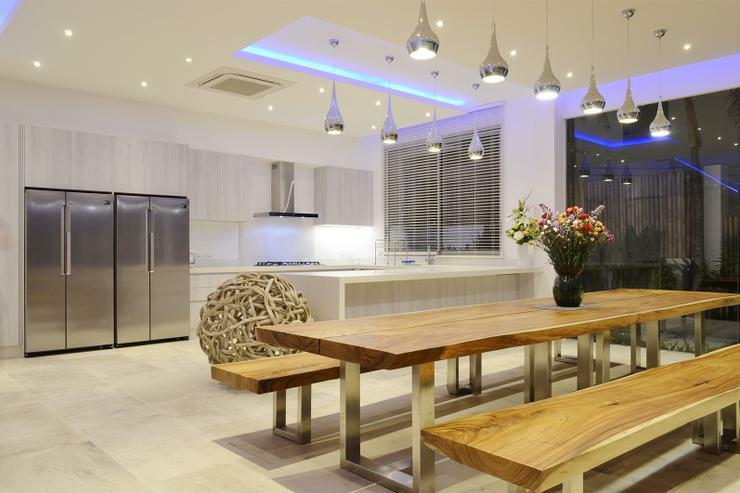 She created a villa that gives all occupants the maximum light and space. In fact 5 of the 6 bedrooms enjoy sea views, whilst one has a lovely private terrace. 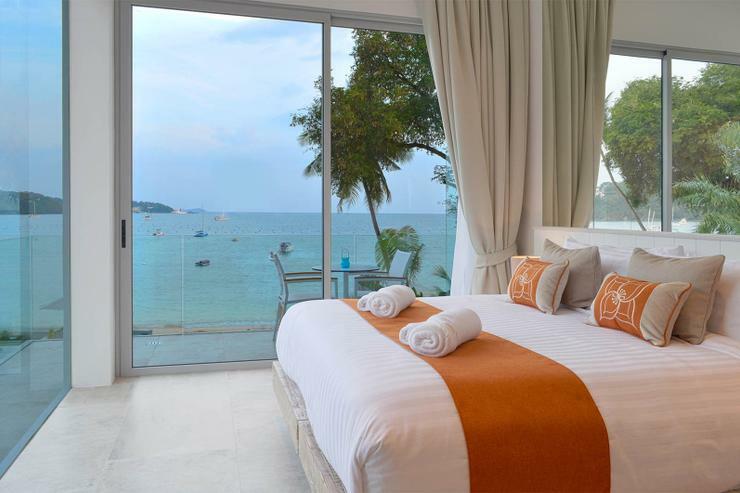 The 5 sea-view rooms all have either a private balcony also, and all bedrooms enjoy en-suite facilities. She also designed our two sister properties - Baan Amandeha and The Beach House at Ao Yon Bay with the same inspiration, which are located on either side of Baan Amandhara and can be used when more space is required for larger groups. Continuing the theme she has used high ceilings in all areas. 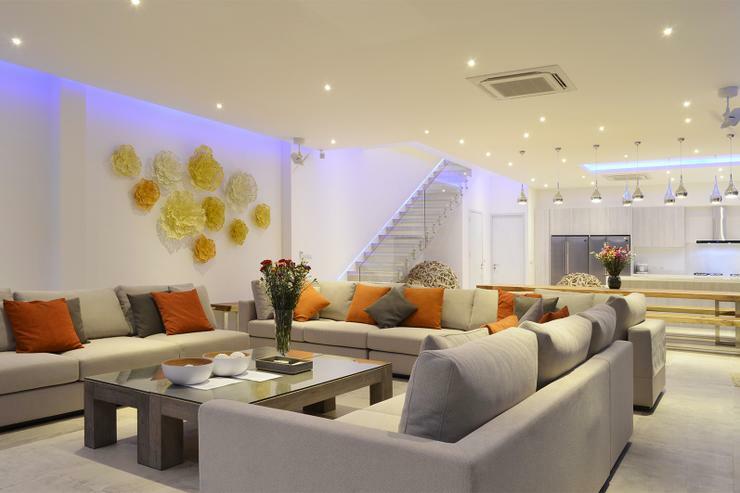 The main living area is over 100 sqm and features a huge open-plan living, dining and kitchen with seated bar. Equipped with lounge and soft seating it will be such a wonderful place to read a magazine, or catch up with friends on Facebook. Outside there are carefully landscaped gardens, with ornamental pots, tropical plants, and palm trees. There is a fully-equipped professional bar with fridges, freezer, ice and wine coolers, and a professional BBQ. There is an infinity edge 10m swimming pool, with sunken seating, and integral Jacuzzi. Next to the pool there are sun loungers plus parasols to give you shade, or to enjoy a pool-side massage overlooking the sea. You'll enjoy wonderful sea views from every corner of the garden, and have direct access to the beach. 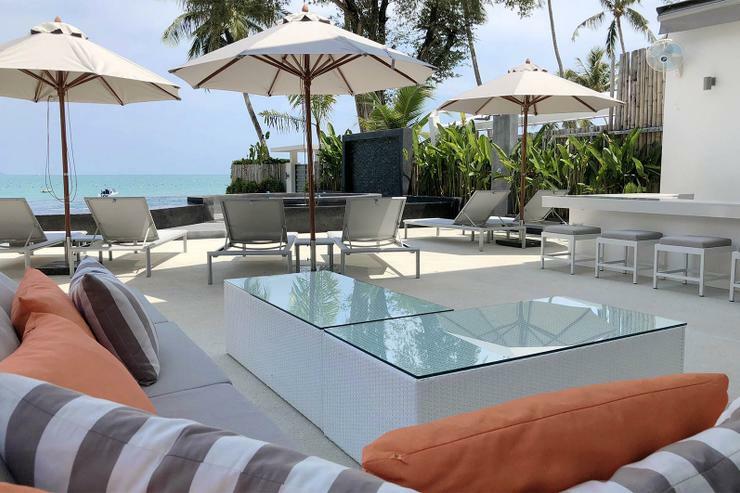 Baan Amandhara beachfront villa is a very special place, a one in a million property. 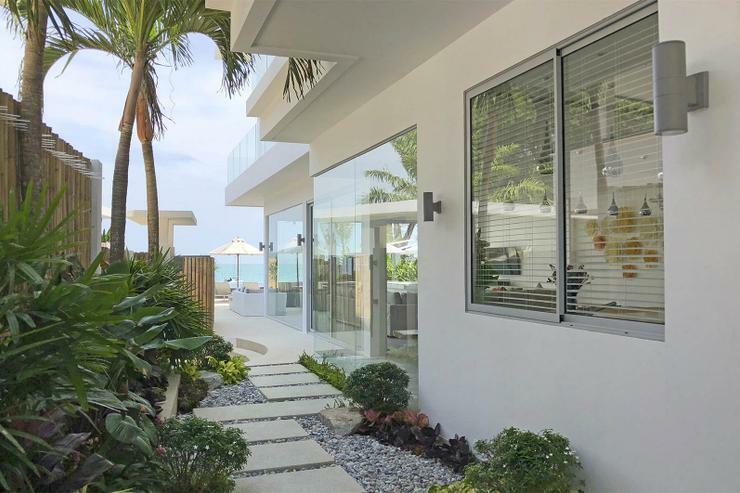 It is one of Phuket's finest properties when you consider it's direct beach access and seafront location, plus it's modern contemporary design. Consider the attentive service levels you will receive, with full-time housekeeping and your own personal concierge, it must become your favourite choice. Baan Amandhara is perfect for families due to the direct beach access and safe seas for children, but would also make the perfect party house for groups of friends or, combined with the larger Baan Amandeha would make a spectacular location for a large private wedding too. 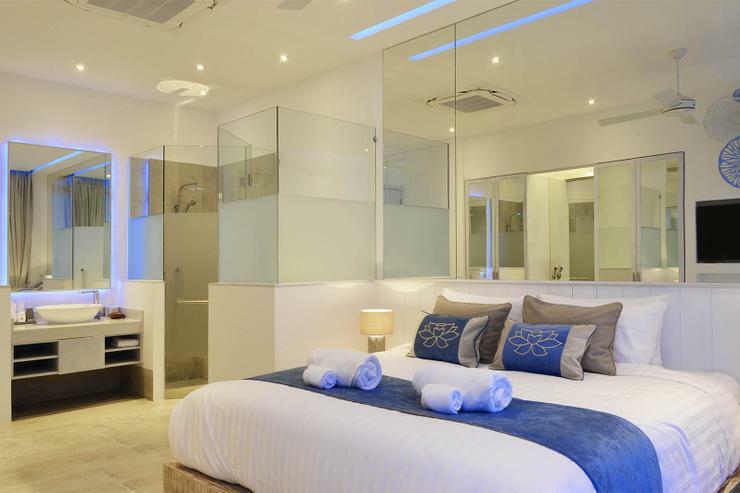 Upper Floor: King bed or two large single beds with large luxury en-suite bathroom, with double ended bath tub, feature glass walls, large indoor walk-in rain & rail shower. 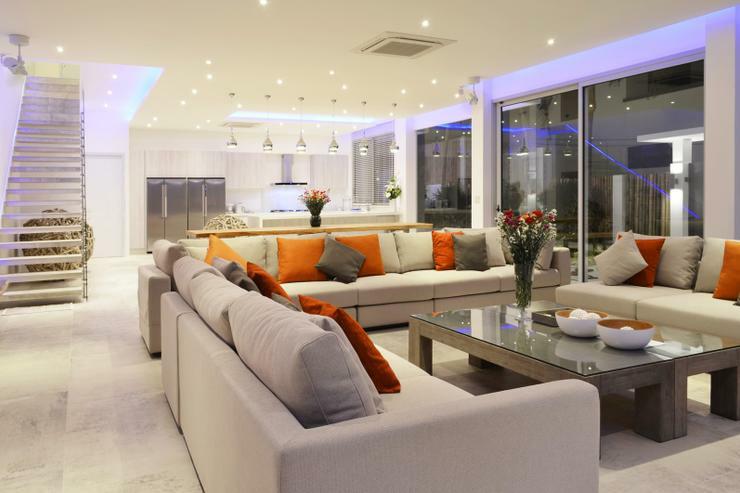 High-vaulted ceiling, contemporary artworks, built-in wardrobes, vanity table, sitting area, personal bar, safe, plus private terrace with panoramic sea views. Luxury 2-person private bath tub. 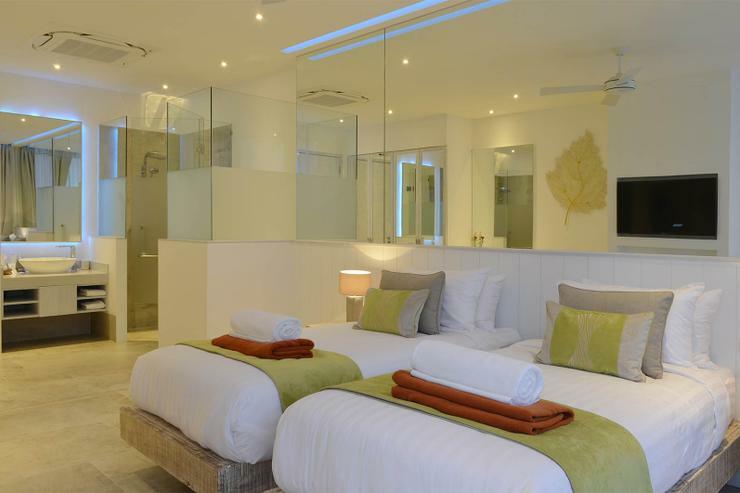 Upper Floor: King bed or two large single beds with large luxury en-suite bathroom, with double ended bath tub, feature glass walls, large indoor walk-in rain & rail shower. 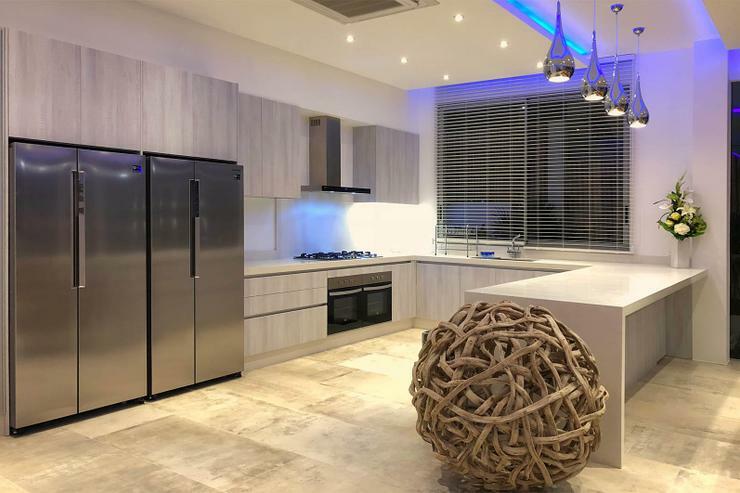 High-vaulted ceiling, contemporary artworks, built-in wardrobes, vanity table, sitting area, personal bar, safe, plus private terrace with panoramic sea views. 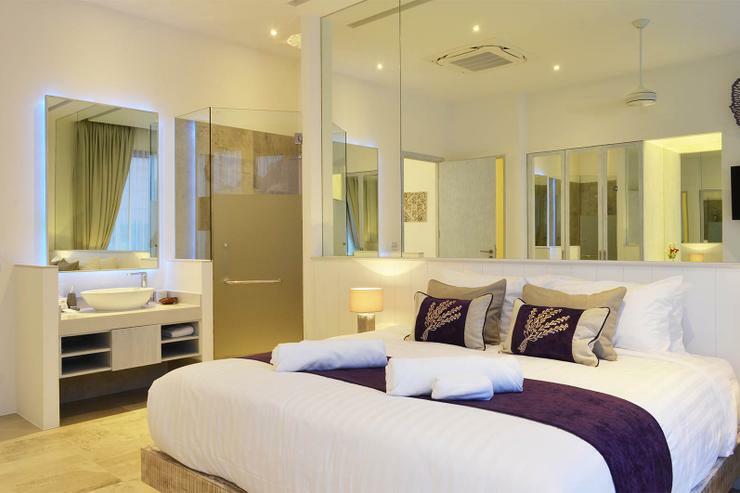 Ground Floor: King bed or two large single beds with large luxury en-suite bathroom, with double ended bath tub, feature glass walls, large indoor walk-in rain & rail shower. High-vaulted ceiling, contemporary artworks, built-in wardrobes, vanity table, sitting area, personal bar, safe, plus private terrace garden. 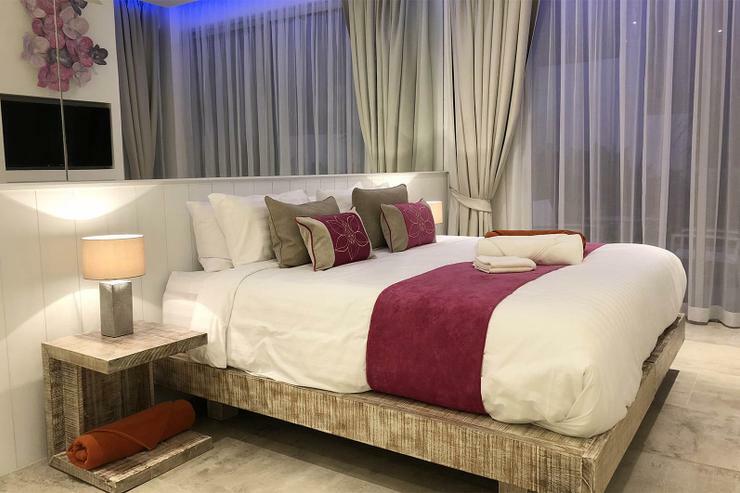 The standard number of guests for Villa Baan Amandhara is 12 in 6 bedrooms. If required, it is possible to increase the number of guests by setting up extra beds within the existing rooms. The maximum capacity is 18 guests. NB: OPTIONS - IF YOU REQUIRE MORE BEDROOMS. To accommodate additional people we use luxury double sofa-beds with the same luxury linen, or single day beds. Direct beach access to warm clear seas that allow year-round swimming. Please note: Phuket west coast beaches are only open for 6 months of the year. Thai aromatherapy massage plus many other spa treatments can be arranged directly at the villa, overlooking the sea, or within one of the spa/massage centres located 1 minute away. Beach Advice: There are only a handful of select resorts in Phuket that offer a truly private beach experience. The majority of beaches, even those in many 5* resorts, are easily accessible by droves of beach ‘touts', hordes of tourists and public water craft. 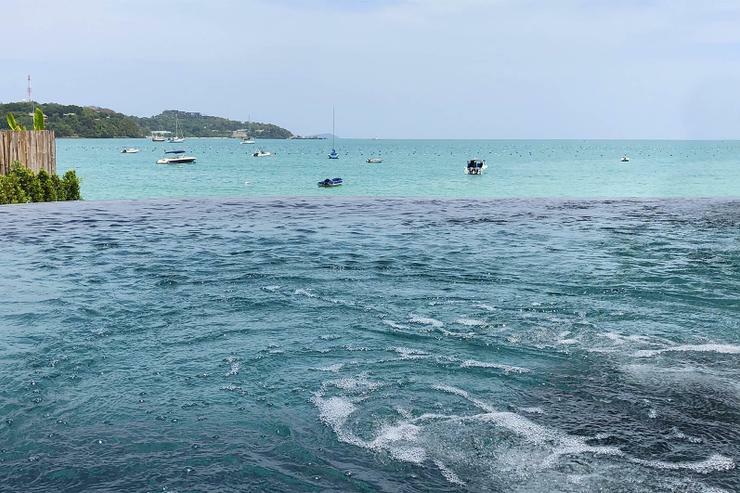 The beautiful beach in front of Baan Amandhara is protected by private roads which means you won't be fighting for space with hundred's of other holiday-makers, you won't have jet ski's zooming past all day and you won't be bothered by beach ‘touts' trying to sell you their wares. It is luxurious, very beautiful and has high quality beach restaurants, massage boutique, a water sports and sailing operator plus a few luxury private properties. 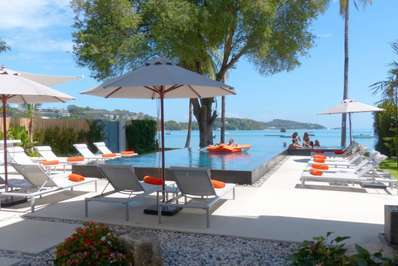 Located in Cape Panwa, Phuket. Baan Amandeha is a in Thailand. Located in Cape Panwa, Phuket. Baan Chirawan is a in Thailand. Located in Cape Panwa, Phuket. Villa Nirvana is a in Thailand.